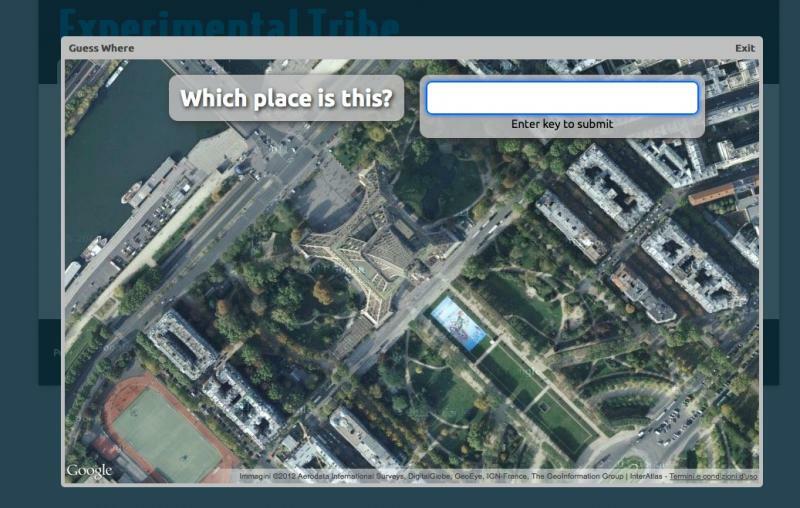 In GuessWhere (still in a preliminary beta version) you'll be presented a place as seen from a satellite and you'll have to recognize it. The image will progressively zoom out, with a tick of 5 seconds per zoom level, until the minimum zoom level is reached. The faster you are in guessing the place, the better you'll be rewarded. 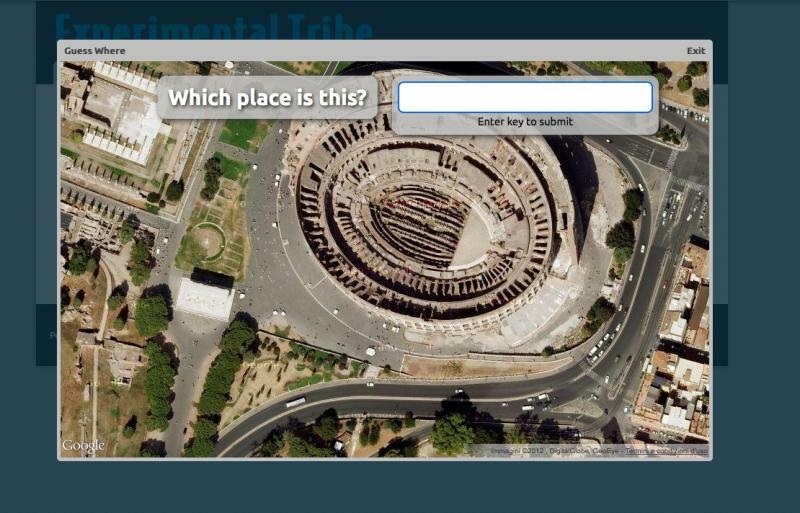 Valid answers are: the name of the specific place (eg. Colosseum), the name of the city (eg. Rome), of the region, of the country (eg. Italy) and even of the continent (eg. Europe). This game will provide hints on how people do recognize maps. GuessWhere can be played with different levels of difficulty (in the beta version only the easiest one has been implemented yet). The first level will display only famous places, while higher levels of difficulty will show less famous ones, and the map location will be probably grasped at a particular zooming level (eg. at the city zooming level, or at the regional zooming level where the course of rivers or the shape of coasts are discernible). The data extracted from the experiment will then be analyzed in absolute terms or in relation with the actual place presented in the game. The aim is of understanding which mental mechanisms are involved in reading a map in order to improve the presentation of maps fitting them to people orientational abilities.